Thank you to Tundra Books for sending me this beautiful, complimentary review copy! I believe a great children’s book meets at least two important criteria. First, the book must tell a story that captures a child’s imagination and interest. Second, and equally if not more important, a great children’s book carries a positive message that is reinforced through the story’s development. 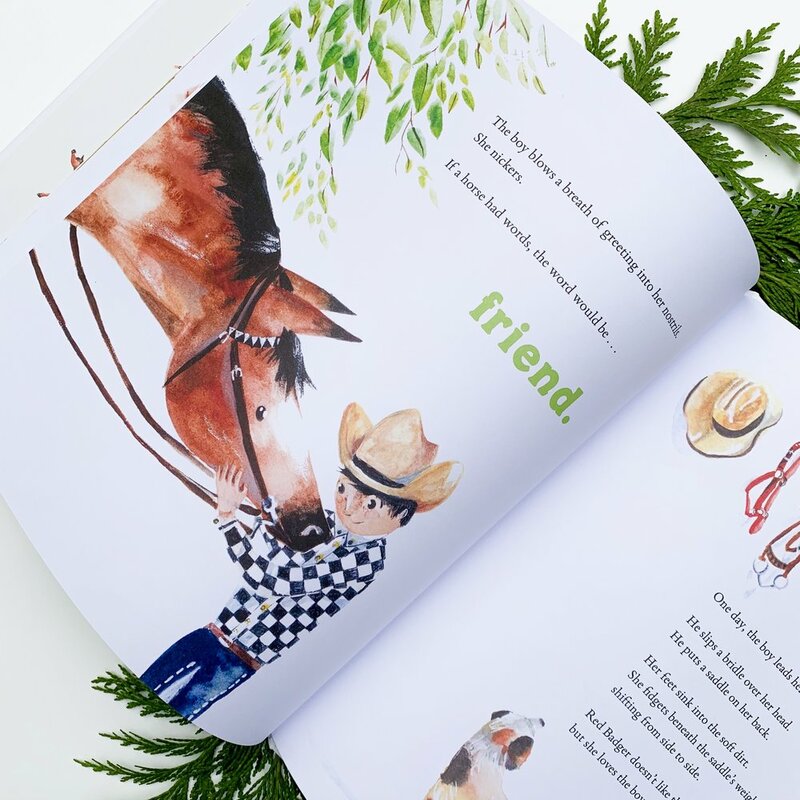 ‘If A Horse Had Words’ demonstrates through the narrative the importance of being kind to animals. Although animals can’t speak like we do, they have feelings and need to be treated kindly. I love how the little boy in this story rescues a baby horse from harm, handles the horse gently and then meets him again at a later time. My only regret is that the horse was sent away and I wish he would have been allowed to stay with the boy. 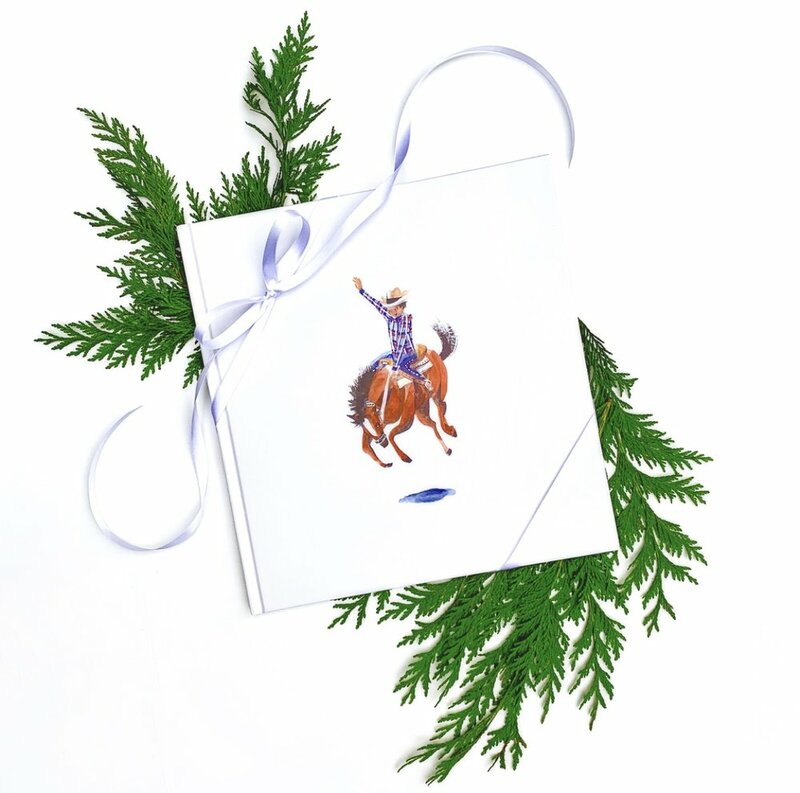 Yet, despite their separation, the horse remembers the boy’s kindness in the end. Treating animals with kindness and respect is such an important trait to teach our children! If A Horse Had Words is also beautifully illustrated! Take a look below at the gorgeous illustrations on the cover, end papers and through the story!